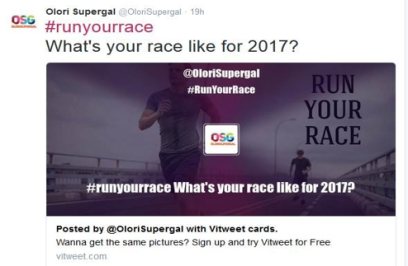 For two days now, Nigerians on social media have been tweeting, posting and graming the cool, inspiring and hilarious ways they plan to run their lives in 2017 with #RunYourRace. 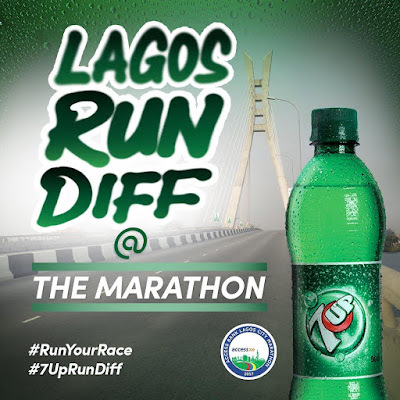 And just hours ago, 7up, the official beverage of the Lagos City Marathon, revealed the full story behind #RunYourRace. 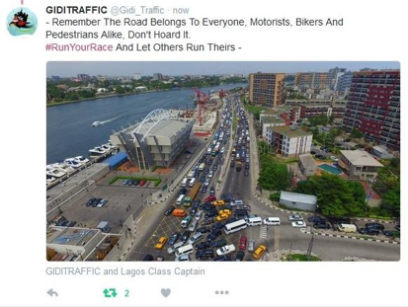 And yes, it’s about the Lagos City Marathon, the 2nd highest ranking marathon in Africa! 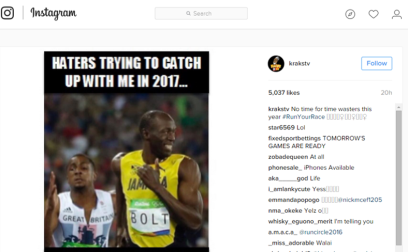 According to the 7up social media team, the hashtag was created to launch the 7up theme for this year’s marathon -RunDiff, Run Your Race, Lagos. 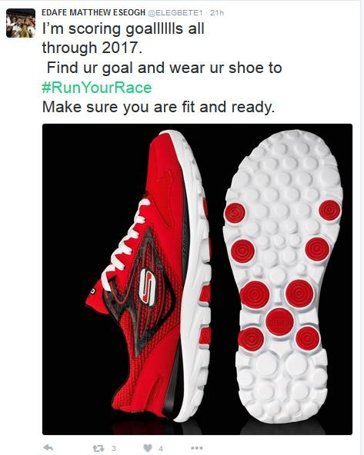 This simply means 7up is making this year’s marathon about you, what you care about, however, you want to run and for whatever reason, you are running the marathon. This is cool because it brings the fun into the marathon. This year’s Marathon taking place on the 11th of February will witness the participation of thousands of professionals and amateurs with over a hundred elite athletes from every corner of the globe pounding the streets of Lagos, showcasing your city, my city, Our Lagos. 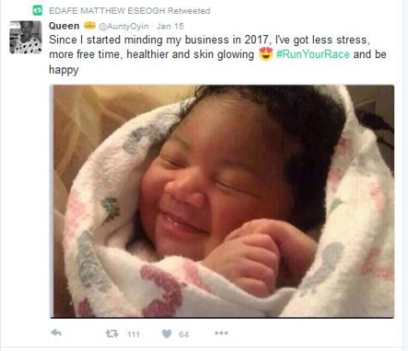 This marathon will host ‘You’ with your uniqueness. You know what is even more exciting? The first prize is a whopping $50,000, with several other amazing cash prizes for different categories of winners. 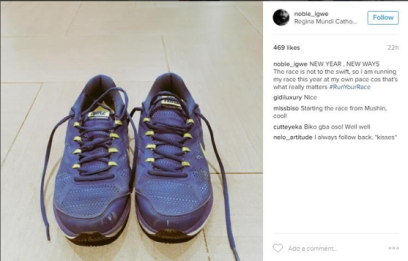 There are even Prize Monies for the first to the 20th Nigerian that finishes the race. Does this get any better? While all these sound exciting, this message is meant for people that have been preparing for the marathon. 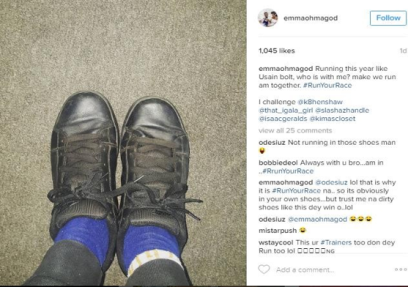 The marathon is an endurance sport that requires a lot of discipline. So if you are not fit, don’t panic, you can be part of the 7up Run diff online. 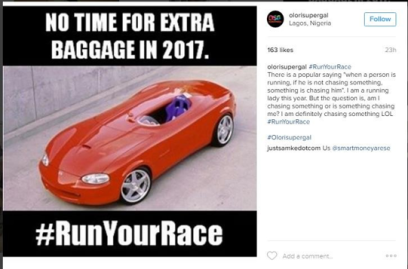 Follow 7up Nigeria on Instagram, twitter, and Facebook for more details or join the conversation on #7UpRunDiff #RunYourRace. 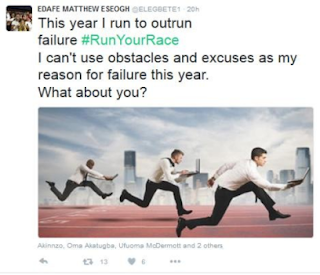 To register for the Marathon, or to get more information on the routes, visit www.lagoscitymarathon.com. It’s going to be a diff Marathon. 7Up…. The Diff Is Clear.